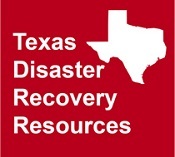 If you have been impacted by Hurricane Harvey, locate information and resources for employers seeking workers or as a jobseeker seeking employment or other support services. If you are an employer seeking employees as a result of Hurricane Harvey, please register and post your jobs at WorkInTexas.com. Be sure to include language in the posting, such as "Hurricane Harvey evacuees are encouraged to apply for this position". The Texas Workforce Commission (TWC) can assist employers with recruitment needs and posting employment positions. Employers may register and post jobs at no cost online at WorkInTexas.com. Through a partnership between TWC and the National Labor Exchange (USnlx.com), employers with multiple job postings may register at no cost online at Hurricane Harvey jobs employer registration. Employers who would like to view their postings can see them at www.workintexas.com or at hurricaneharvey.jobs. Shared Work program provides Texas employers with an alternative to layoffs and was developed as a voluntary program to help Texas employers and employees withstand a slowdown in business. If you have been impacted by Hurricane Harvey and are seeking employment, please register for employment at www.WorkInTexas.com and select Job Seeker Registration. The Texas Workforce Commission, 28 Workforce Development Boards and their service contractors work together to provide workforce solutions for Texans. Locate your nearest Workforce Solutions office by searching by ZIP code or type of services on the Directory of Workforce Solutions Offices & Services. If you have not been paid wages from an employer, you may file a wage claim. TWC is working with Texas Workforce Solutions Offices to determine the needs of the workforce development areas and assist with temporary jobs and employment support services for displaced Texans to return to employment. This guide provides guidance to Local Workforce Development Boards (Boards) and contractors on the National Dislocated Worker Grant (NDWG), programmatic waivers, and special policy provisions for individuals affected by Hurricane Harvey.